Ever since TCL bought the rights to license the Palm brand from HP back in 2015, we’ve known that the Chinese smartphone manufacturer plans to bring Palm brand back from the defunct. Last we heard, Verizon planned to bring revived Palm devices in H2 of 2018. 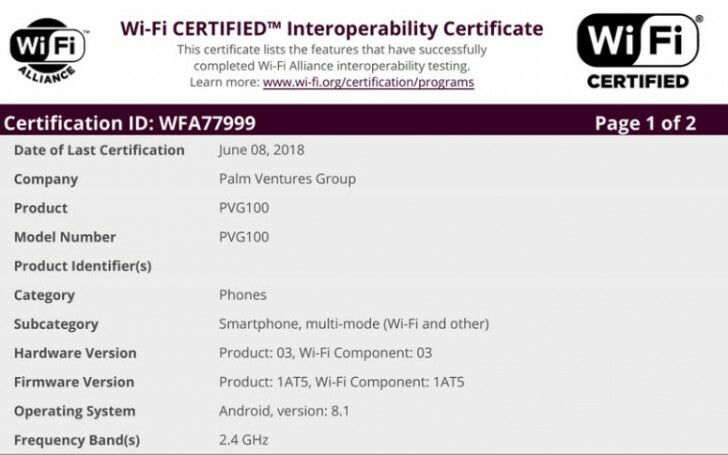 That last piece of news appeared to be accurate, as we are just now seeing a device with the model number: PVG100 pass through two US communications agencies: the FCC and the Wi-Fi Alliance. The company that submitted both filings is called Palm Ventures Group. The FCC filing shows a label that reads” Designed by Palm in San Fransisco, Manufactured in China” so there’s absolutely no doubt that TCL will bring back a Palm-branded smartphone very soon. The Wi-Fi Alliance filing shows that the mystery device will be Wi-Fi b/g/n compatible for the 2.4GHz frequency. There’s no modern 5GHz Wi-Fi ac, so we are expecting to see a midrange device, similar to how the BlackBerry KEYOne launched with a midrange Snapdragon 625 CPU. TCL’s strategy for reviving this brand might be to feel out the market by launching a low-cost device and later deciding if it wants to go all-in with a higher-end model. Besides the device coming with Android 8.1, there’s not much else revealed about the phone itself. Given that Palm's last devices had really cramped physical keyboards and TCL already makes the BlackBerry, it may be safe to speculate it might have a keyboard. 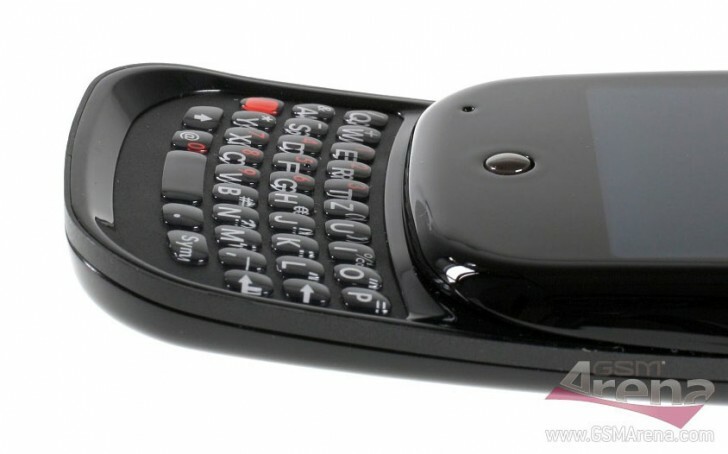 If not, then this Palm device better adopt a card-interface Android skin and Palm's pebble-shaped designs. Let's see what Palm comes up with. Have you owned a Palm device in the past, or did you have an older device that ran on Palm OS? What do you think about Palm making a return to the smartphone race? Let us know your thoughts in the comments!